Charles Dickens was Britain’s first true literary superstar; the greatest novelist of the Victorian period, he enjoyed unprecedented fame in his lifetime, in the U.K. and around the world. And, of course, he remains a fixture of The Canon even today– his work is still not only widely read but also widely adapted for stage and screen. The Morgan Library & Museum’s collection of Dickens manuscripts and letters is the largest in the United States and is one of the two greatest collections in the world, along with the holdings of Britain’s Victoria and Albert Museum. 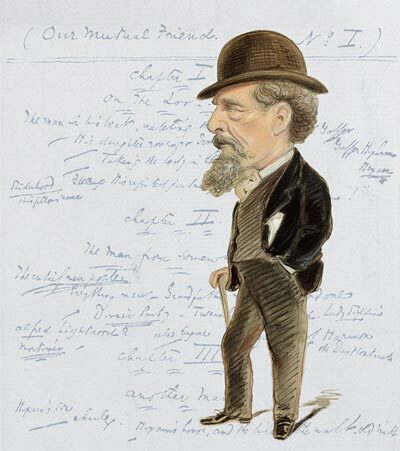 Charles Dickens at 200 celebrates the bicentennial of the great writer’s birth in 1812 with manuscripts of his novels and stories, letters, books, photographs, original illustrations, and caricatures. Sweeping in scope, the exhibition captures the art and life of a man whose literary and cultural legacy is unrivaled. The exhibit opens this week, and runs through February 12. 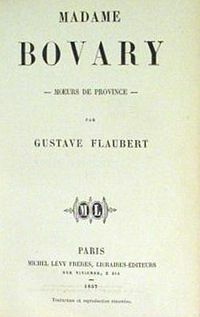 As we note that even though it was the best of times, it was also the worst of times, we might recall that it was on this date in 1856 that Revue de Paris published the first installment of Madame Bovary, by the Anti-Dickens, Gustave Flaubert. The novel’s final chapters ran on December 15, 1856; it was published in book form in 1857.